When a patent expires on a medication, drug companies can produce generic versions of the drug to sell to the public. Unfortunately, this can create significant legal complications. In 2011, a court decision established that generic drugmakers cannot make changes to product labels even if the drugmaker is alerted to side effects. The label can be changed only if the brand-name drug manufacturer alters it to warn the public of the risks. As a result, generic drug manufacturers shouldn’t be held legally responsible for failure to warn patients about the risks of a medication. An experienced Boston dangerous drugs lawyer knows failure to warn is normally legal grounds for a defective product lawsuit when a drug turns out to be dangerous. However, since the generic drugmaker cannot be sued, the question becomes: who can the patient hold liable? The answer, it turns out, may be the manufacturer of the original brand name drug. According to the Wall Street Journal, the Alabama Supreme Court has upheld a ruling that a man who took a generic version of Pfizer’s Reglan heartburn medication may now sue Pfizer. The decision is described as “potentially significant” because it is one of just a limited number of cases in which courts have allowed lawsuits to proceed against makers of brand-name medications when consumers have not actually taken the brand name drug. Other courts may consider this opinion when faced with a similar case, allowing more plaintiffs to obtain compensation for harmful consequences of dangerous drugs. The Alabama case involved a man who developed a serious and permanent movement disorder called tardive dyskinesia after he was prescribed a generic version of Reglan. He had no direct relationship with Pfizer, and Pfizer thus argued that it had no responsibility for what went wrong. The court, however, disagreed. 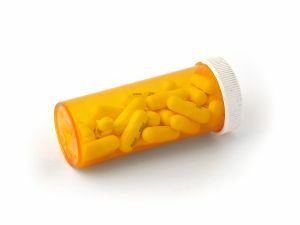 The ruling indicated that the drug company’s argument “completely ignored the nature of prescription medication.” Prescriptions can be obtained only with authorization from a medical professional, and if the warning to the doctor is not adequate, then the drug company can be responsible for resulting consequences. The warning must emanate first from a brand-name drugmaker, which means that it is reasonable to hold a drug company responsible for failing to alert doctors and the public to a risk of a drug even if the company did not directly produce that drug. The decision broadens the rights of patients everywhere. Taking a generic medication is often significantly less costly than taking a brand name drug. However, patients who take generic medications should not be precluded from taking appropriate legal action for unexpected side effects. Since the maker of the brand name drug is responsible under the law for warning patients of the risks, that manufacturer should be held liable if it fails to do so and harm to the patient occurs as a direct result. If you have experienced dangerous side effects from any medication call the Law Offices of Jeffrey S. Glassman for a free and confidential appointment — 1-888-367-2900.